Embark on your next tour with Charter Everything Inc., a premier and trustworthy charter bus rental company with services in Pennsylvania. For over 25 years, we have been satisfying our valued customers with hassle-free transportation, 5-star services and comfortable coaches. Our extensive range of fleet gives you a myriad of vehicle options if you need to travel in style and luxury. One of the best charter bus rental companies in PA, we go an extra mile to handle every minute detail of your trip and offer a memorable traveling experience to our customers. With our state-of-the-art vehicles and professional staff, you can sit back & relax, enjoying the comfort of Pennsylvania charter bus service. Charter Everything Inc. is available 24/7, 365 days a year to offer exceptional customer service every time. We ensure the highest standards of safety and reliability, with a passion to exceed our customer’s expectations. 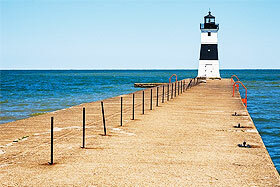 Planning a sightseeing tour of Pennsylvania with your family and friends? Give the hassle of traveling to Charter Everything Inc.! Choose to have a fun-filled ride in one of our world-class charter buses, and visit any of the top tourist attractions in Pennsylvania. Our charter buses will offer you with excellent sightseeing experience of the famous Independence National Historical Park and the Liberty Bell. 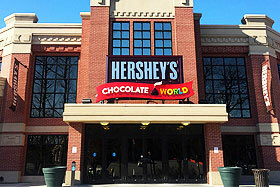 Visit the Hershey’s Amusement Park with your family and indulge into some chocolate sin! Then take a drive to Allentown PA and spend a day at Dorney Park & Wildwater Kingdom or Lancaster Sight & Sound Theatres with some friend and family members. Get on board with our comfortable Pennsylvania charter buses, and experience the scenic beauty of Presque Isle State Park. 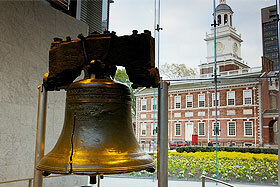 Discover America’s largest collection of art and artifacts at The Philadelphia Museum of Art. See all these and much more feeling assured to have an enjoyable traveling experience riding with our well-equipped deluxe coaches. 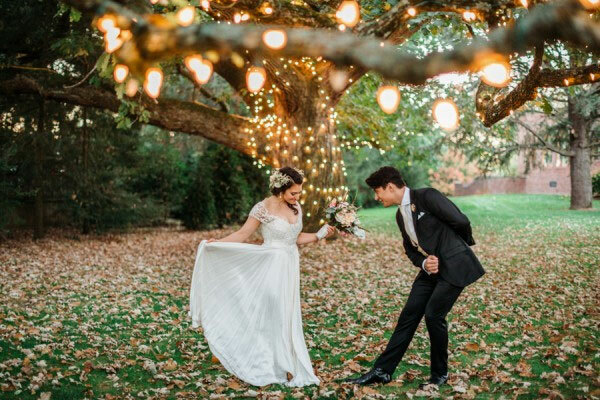 It’s your wedding, and everything has to be special and ‘big.’ Create a lasting impression by renting our plush charter bus to transport your guests to and from your wedding destination. Pick from our finest selection of deluxe motorcoaches, lavish mini bus or private party buses or executive vehicles all fully equipped with all modern amenities to make the day more special for your guests. Be assured your guest will travel in sheer comfort and style, enjoying the vivid sights of Pennsylvania on the way to your wedding venue. When it comes to your upcoming corporate tour or business event, leave the traveling hassles to us. We understand that it takes time and planning to execute a vital corporate event, something that leaves a strong impression on people. That is why we offer world-class charter bus rental service to make transportation stress-free for you and your co-workers. Whatever the group size, we have the right vehicle to meet your transportation needs. For bigger groups, book our deluxe motor coaches that can accommodate from 49 up to 61 passengers in the most comfortable manner. We also provide minibus rentals with the passenger seating capacity of 20 up to 38 passengers. For smaller teams, we have luxury sprinter vans with seating capacity from 10 up to 15 passengers. All our vehicles are equipped with modern amenities such as private sanitized restroom, state-of-the-art media system, power outlets, high-speed Wi-Fi, central AC & heating system, and spacious luggage compartments. Take your pick from our exclusive selection of Pennsylvania charter bus rentals, and impress your corporate team by providing safe and comfortable transportation. For booking, please contact us at the earliest. We are available at your service 24/7, 365 days a year. Visit Pennsylvania’s renowned fall events with your family or friends in a luxury charter bus rental by Charter Everything Inc. From art & craft festivals to invigorating football games, from exciting fall bazaars to experiencing the breathtaking sight of fall foliage, our PA charter bus rentals will travel you to your destination in ease. You will travel worry-free, having more time to spend with your loved ones. Safety is our top priority. We arrange every charter bus tour with utmost reliability and security. All our drivers and staff undergo rigorous background checks, while our vehicles are regularly serviced and maintained for superior performance. Get on board for an unforgettable experience visiting the famous fall events in Pennsylvania. 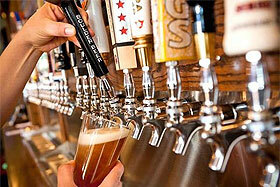 Pennsylvania is renowned for its pulsating nightlife that will enthrall your senses. Set off on an enchanting nightlife experience with your friends; book our charter bus rental today. With us, you are free to customize your tour and include everything to create a remarkable experience. On one hand is the vivaciousness of Pennsylvania’s nightlife; on the other hand is the lavishness of our charter bus rentals! Our private party bus is the perfect choice to make your tour most cherished. It can accommodate passengers from 18 – 40. Each of the buses are equipped with sanitized restroom, black tinted windows, wet bar, sunroof & moonroof, Wi-Fi connectivity, leather seats, 4K television, media, surround sound system, fiber optic & neon lighting, and power outlets. Our private party bus charter is a great way to add spice to Pennsylvania’s nightlife. Getting pepped up for a fun-filled game day with your family and friends? Don’t have a ride? Forget the discomfort of a carpool, with everyone stuffed into one small vehicle. Book our spacious charter bus rental, and reach your favorite sporting event in style. Whether it’s a small league or a major league game, our chauffeur-driven buses will arrive right on time so that you don’t miss a bit of the action brewing up on the ground. Depending on your group size, we’ll help you choose the right charter bus in Pennsylvania for any event. We are Pennsylvania’s #1 charter bus rental company, with a commitment to deliver unmatched comfort and customer service anywhere in PA.
Extensive Fleet of Charter Bus in PA: We have one of the largest fleet of luxury charter buses, comfortably equipped with all modern amenities. No matter your group size, our vehicles can accommodate passengers from 10 up to 61 total each vehicle. 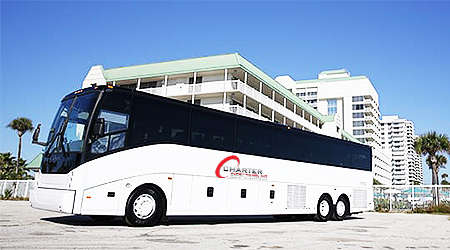 All our charter buses are well maintained, spacious and very safe to travel on. Safety: We ensure the highest standards of safety to all our passengers, whatever be the event or wherever. Our vehicles are fully insured, and are driven by highly experienced, trustworthy drivers. 24/7 Availability: Planned an event unexpectedly? Don’t have a ride? Our customer service team is available 24/7 to take your booking for luxury charter bus…any time! Best Price Quote: Being in business for the last 25 years, we have carved a niche for ourselves. Besides offering high-quality charter bus rental service, we guarantee you the best price quote in Pennsylvania. We will match or beat any other company rates with comparable services.